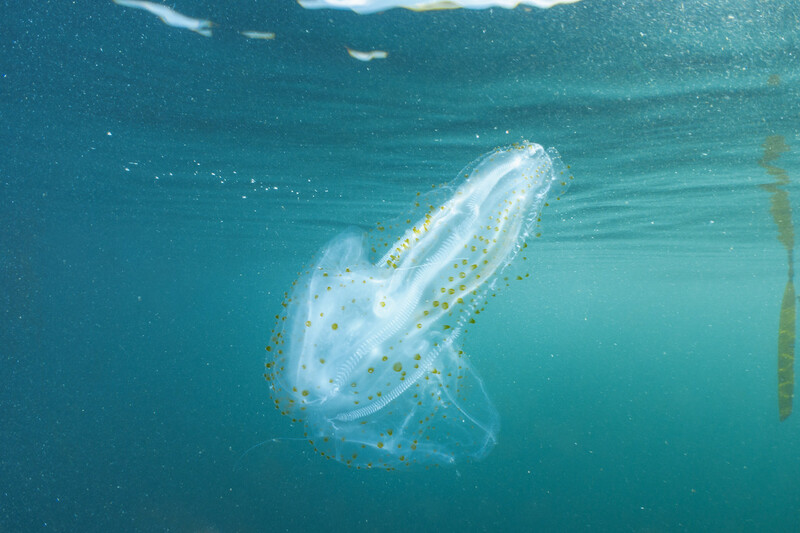 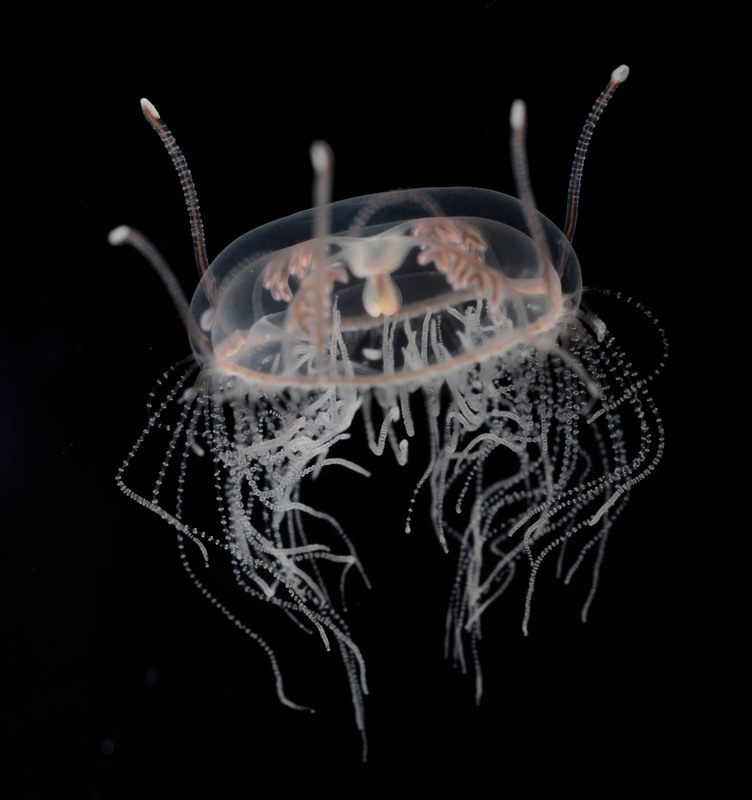 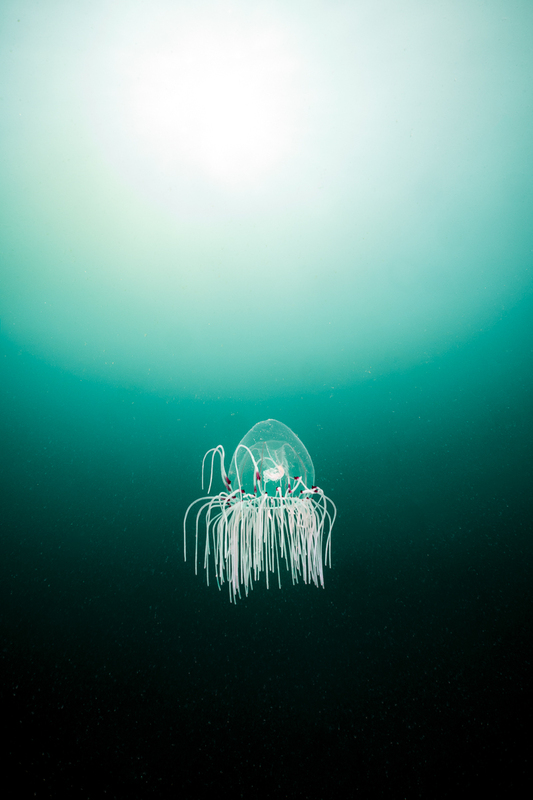 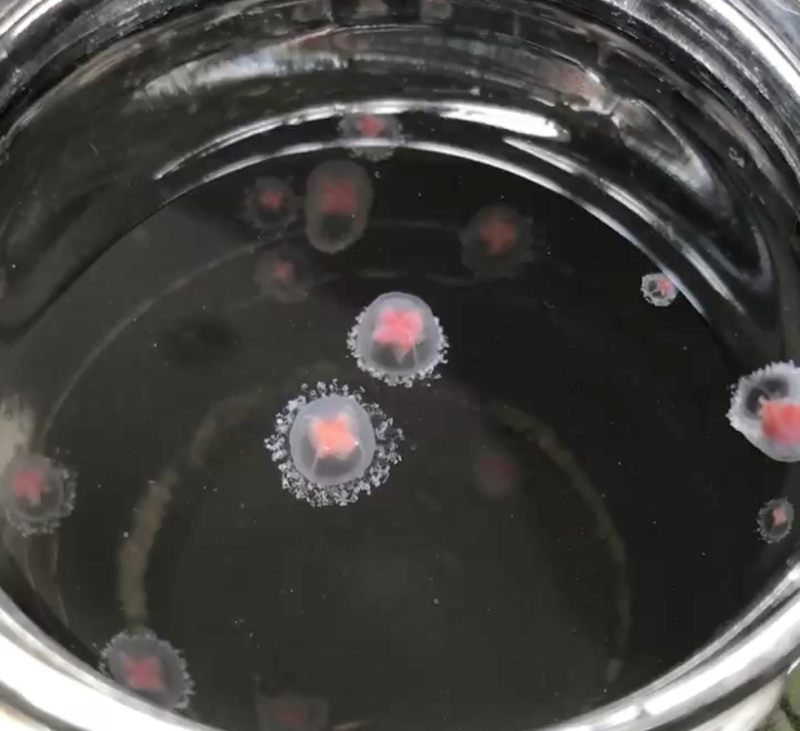 Spotted lots of comb jellies, Mnemiopsis leidyi. 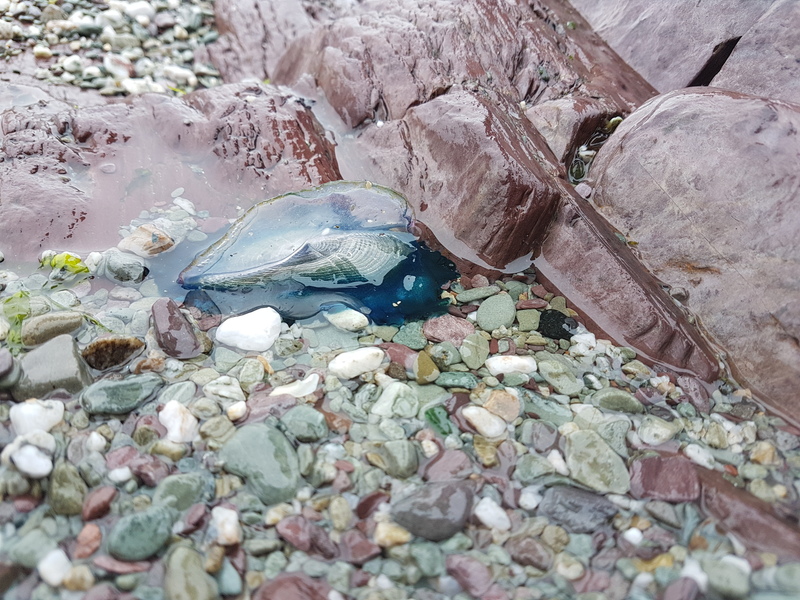 Hundreds of Velella at surface for early spring bloom. 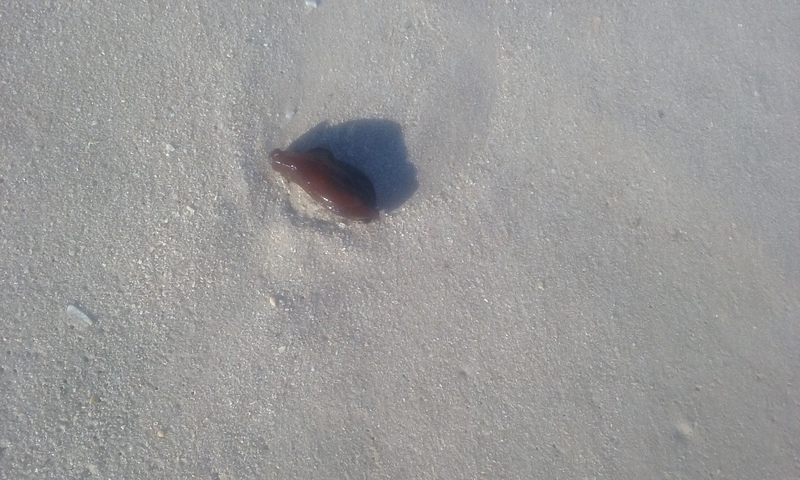 We were walking on the beach at Vero Beach South, FL, and Other Mollusc - Sea hare?